Is marketing strategy dying? 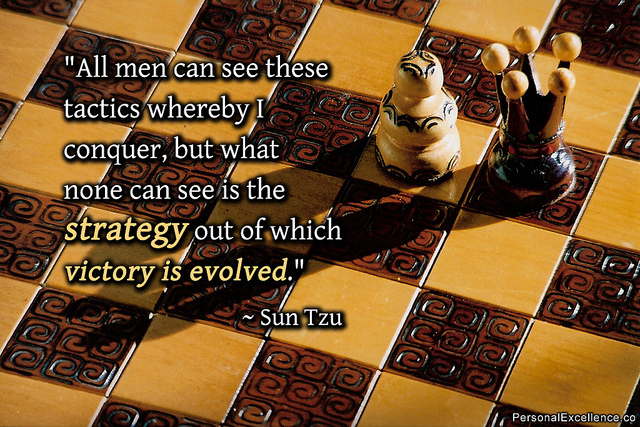 The default analogy for strategy used to be chess. Now it increasingly seems more like Pick a Box or Join the Dots. 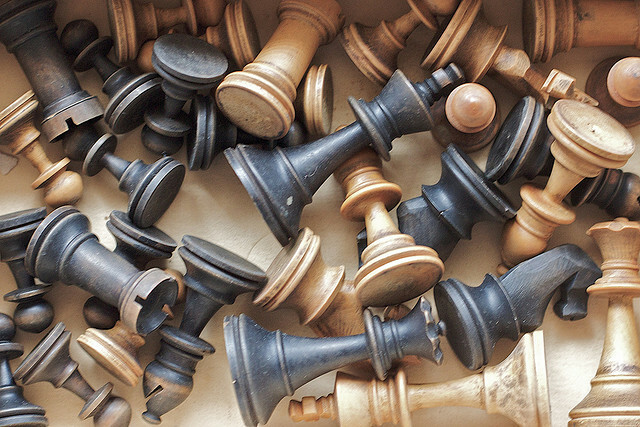 Here’s a quick look at this shift and why marketers need to brush up on their chess games. Consultants and academics love matrices and models. ‘Proprietary’ tools that provide a company or a brand with a default set of strategies or actions based on an assessment of their market position. In terms of business strategy, the BCG Growth-Share Matrix is a classic and simple example of this. 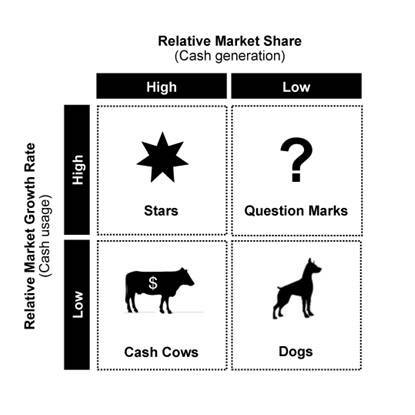 Just determine your mix of Stars, Questions Marks, Cash Cows and Dogs, and act accordingly. Four boxes and four sets of default strategies. Brand archetyping is another tool. Depending on which version of it is used, it presents businesses with some 12 to 30 options to choose from to guide how a brand should communicate and behave. New models appear regularly, each claiming ‘new’ insight and potency. When used in combination – and as thought starters rather than prescriptions – these can be highly useful for building a robust brand strategy. Problems arise, however, when marketers rely on just one view and adopt a set of generic recommendations without giving the specifics of their brand’s situation further thought. Some of this can be attributed to the current low growth business environment. This has demanded that marketers become more tactically focused on hitting the next quarter’s numbers. As a result, strategic planning is a less practiced and declining skill. This increases the appeal of off-the-shelf models. On one hand, a model can offer a quick and relatively simple solution to the strategic planning task. One the other hand, it can provide a marketer with the appearance of rigour and professional competence to senior management. But the shortcomings of this ‘pick a box’ option can be significant. While the advantage of models is to simplify the complex, often they can oversimplify the challenges that need to be met. Similarly, their default directions can blind people to critical nuances; they can cause marketers to miss what they really need to do. Take for example a commonly reported scenario in the use of brand archetypes. Experienced strategists will often look to combine two archetypes to determine a more distinctive personality for a brand. So there can be literally dozens of options to consider. 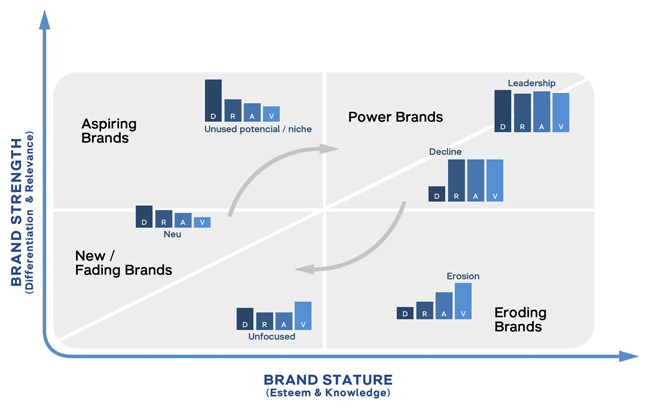 Despite this many brand owners quickly gravitate to their brand adopting the Hero archetype. (In very simplistic terms, to their brand being the Nike of its category). This occurs because of the inherent appeal of the Hero to a brand’s stakeholders rather than it being the best option for improving the brand’s competitiveness. 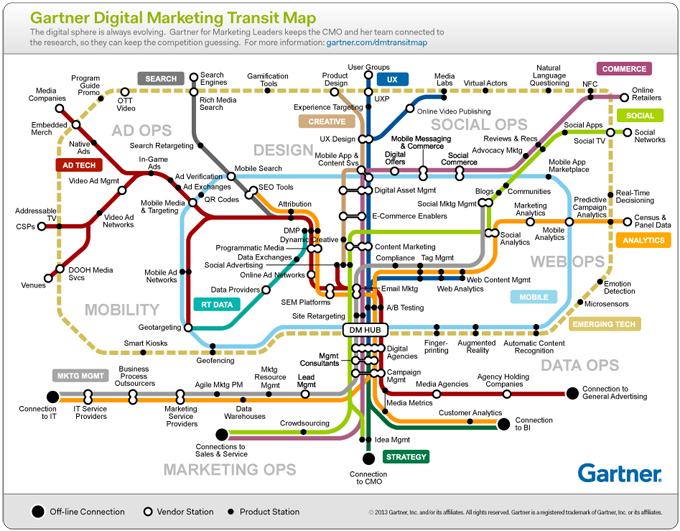 The other, more significant environmental factor driving the decline of strategy is the shift to digital marketing. As the execution of marketing campaigns has become more complex, marketers are under constant pressure to understand and manage more and more moving pieces; often at a granular level. Planning the execution of a continually broadening set of initiatives – from social, content creation, SEO, SEM and CRM to mobile, localisation, personalisation and native advertising – is replacing strategic thinking. Testimony to this is the plethora of “How to”, “7 steps for”, “4 ways to use”, “The Ultimate Guide to” type of advice that circulates amongst the marketing fraternity on a daily basis. These step-by-step prescriptions are making marketing a ‘join the dots’ exercise. In fact many digital campaign plans are literally lines and squares. Take for example a recent article in a leading media and advertising publication on how to create a “killer marketing strategy”. (Note: Link not provided for reasons that will soon become obvious). Notice anything missing? Notably absent from the “killer strategy” are actual strategies! In fact this list isn’t actually about ‘marketing strategy’ but is a ‘marketing communications’ format. More specifically – given the focus on Content – it’s a ‘digital marketing communications’ format. That it is presented as an approach to ‘marketing strategy’ is telling in itself. Things like this feed the argument that many of the profession’s techno-centric digital natives – and those who follow their lead – don’t know the difference. Here strategy is about staying on top of each component of the digital universe as it changes, including using the ‘next big thing’ before competitors do. As observed by digital marketing consultant Jeff Sauer, “Call it the ethos of the modern digital marketer, or call it youthful ignorance, but there is very little thought given to the strategies behind most digital marketing efforts. Most efforts employ a spray-and-pray or ready-fire-aim approach. Throw (sh)it on the wall and see if it sticks”. That this ‘do first’ rather than ‘think first’ mindset has permeated marketing communications in general is supported by the recent lament of Mumbrella editor Tim Burrowes at Naked Communications’ “transition from being ‘thinkers’ to ‘makers’”. As seen by Burrowes, the once revolutionary strategy-only agency has been forced to abandon what made it great because marketers no longer want to pay for strategy. This despite his view “I can’t remember the last time I saw a piece of strategy work from a media agency that was really inspiring”. Getting back to the above “killer strategy” checklist, like most marketing by numbers processes it doesn’t actually represent strategy. It’s the illusion of strategy. It is most likely to produce an activity plan that will be heavy on particulars but thin on big picture consideration. How many marketing ‘strategies’ are now simply the bottom up accumulation of activity plans for the use of Facebook, Youtube, Instagram, programmatic buying, tactical advertising, eDM and so on? These don’t pass the ‘Why’ test. For instance: Why is the brand in the position it is? Why do customers relate to us in the way they do? Why do competitors attract people we don’t? Why do we think what we plan to do will make a difference? Why is each planned set of activities important? The outcome of Pick a Box and Join the Dots approaches to strategy is often second-rate, inefficient and less effective marketing. The chances of arriving at an ‘optimal’ strategy with them are akin to those of the infinite monkey theorem. (For those not familiar with it, this states that an unlimited number of monkeys hitting keys at random on typewriter keyboards for an infinite amount of time will almost surely type a given text, such as the complete works of Shakespeare). Because the landscape for every brand is different in some way, the real game of marketing is far closer to chess than it is to join the dots. Chess has traditionally been regarded as the ultimate strategy game. It requires thinking about every move and its consequences. It demands a core skill of strategic thinking – the ability to “look ahead and reason backwards”; where one move can win or lose the game for a player down the track. The movement of just one piece can change the entire dynamic of a game by recalibrating the relationship of all the other pieces to each other. Like chess, every detail relating to the brands in any given market has the potential to impact their relative positions. Prescriptive approaches to strategy easily miss these details and the up and down sides they present. They don’t invite interrogating the specifics of a brand and its situation to find the right combination of moves to win the game; instead leading to playing it one move at a time. They don’t deconstruct each element – be it tangible or intangible, rational or emotional, brand out or consumer in – and then reconstruct, combine, innovative with and focus on those most likely to lead to success. 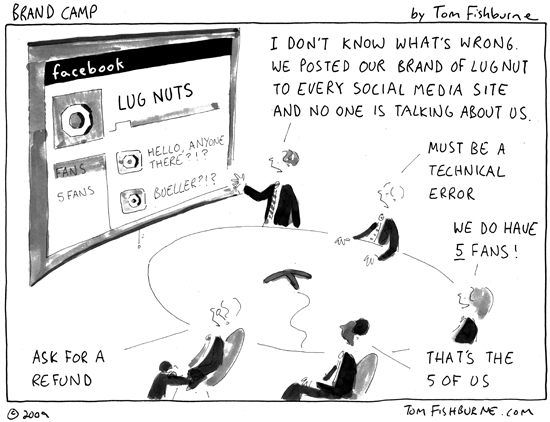 One topical example of ‘strategy’ without due diligence is the foray into social media. How many brands have invested in Facebook pages and content creation without a clear idea of where this fits into an overall strategy and what they’re actually trying to achieve? Perhaps more marketers should take a leaf out of the international marketing playbook. The best international marketers take literally nothing for granted. When taking a successful brand from one country to another, they look deeply into the key factors for success in the original market and whether they are present in the new market. If need be they then adjust selected elements of their strategy to meet the specific conditions of the new market; typically localising the offer and their go to market approach. In some cases this due diligence leads to the decision not to enter a country at all. In contrast, examples of international marketing mistakes made by the less experienced abound. Such as brands who are market leaders in their home countries over-confidently attempting to enter another market with marginal discernible product differences and/or positionings already taken by strong incumbent players. Then there are brands that have run ad campaigns that have worked well in one country in another, without considering that their effectiveness is based on the cumulative effect of years of past advertising that new audiences haven’t been exposed to. As noted, similar ‘doing’ before ‘thinking’ errors are likely rife in domestic marketing. But an advantage that international marketers have is that the expectation of ignorance is more central to their work. When developing strategy for a new country, experienced practitioners know that they don’t know all the facts. Their default mindset is that there will be “unknown unknowns” to deal with. Domestic marketers could benefit from rediscovering their ignorance. For instance, by first pushing themselves to take a zero-based view of their markets. Then robustly questioning which components of both their legacy marketing-mix and shiny new digital options will really help them win the game moving forward. Will chess and marketing strategy go the same way? While there isn’t hard evidence of it, the general consensus is that chess is declining in popularity. Why? One widely touted reason is that computer games and other technology-led entertainment have taken over the interest and time previously given to it. Similarly, it may just be that as the number of digital marketing options expands, and the more complex and smarter they become, the less real strategic thinking will be done. Not being able to see the woods because of the trees could become the norm. Should this turn out to be the case, true, big picture marketing strategies will be rare and valued assets. This is eye opening. I enjoy this. With a brand be distinct or become extinct. Marketing strategy is dictated by technology, consumer behavior, competition, pricing and government regulations. Although we now live in a borderless world, what may work with the Asian market, may not work for the Westerners and vice versa. Consumers, from age nine to 99, are more discerning as they can always Google a product’s promise. The more we should keep marketing strategy alive! Marketing strategy must be complemented by proper sales support, compelling and engaging marketing communications to deliver genuine product benefits. As we embrace social media day in and day out, in the Philippines – marketing events deliver more results. Marilet – I think your main point is sound. What works in one market – or in one particular situation – often does not apply in another. Really understanding a brand’s situation to build strategy upon and, as you’ve noted, ensuring it has complementary support across business functions, is absolutely right. Especially when people can now spot false promises and inconsistencies with a few clicks. I’m totally agree with you. I started to realize that the “global” view of the big companies is out of date, for one small country like Romania is very hard to make a marketing strategy that really works, I wonder how the big companies expect to implement a global view and work also. Never an Indian manager will understand a Romanian needs/pleasures/potential or whatever as well as never a Romanian one will understand an Indian one or other nationality. Also, another mistake that I saw very often is not understanding/not caring really the customer, only the company’s goal which can be easily translated into SALES. Never talking with the customer even is a BtB approach, as I always say “we are doing business with people, not with other companies”. In the end, again, YOU ARE RIGHT. I think until digital channels became mainstream that there was a movement for global/international brands to localise their strategies to various degrees. The so-called ‘glocal’ approach. But with the transparency and complexity of managing websites and other digital assets came a movement back to one-fit-all global approaches. A movement driven more by efficiency and manageability rather than the search for optimal effectiveness. This has held up even when there are compelling cultural reasons to adopt strategies to country-specific requirements. Another case of decision making driven by the technology rather than human considerations. When marketers prefer the glamour of the creative idea and apparently the board also, this is what their agencies give them. Sublime creative that has little strategic value. And why should agencies do anything different, because it is these same marketers and brands that have the big budgets? Strategy is generally misunderstood, – fact. There is no single recipe for effective strategy, there are many tools, lots of data and a myriad of ways to interpret the information gleaned to gather the insights that will determine strategy. Effective strategy is pure and simple but to get to there you first need to distill the complex reality. Discernment and following an effective process and will result in effective strategy and implementation. Totally agree there is no single recipe for strategy. Often it’s 99% perspiration. You just have to dig for the facts, insights and perspectives and swim around in them until a way forward becomes clear. I come from the technology startup world, and here it would appear that the rules are different (or at least prescribed that way in the startup literature!). We are focussed on agile development, and now agile marketing which you might call ‘spray and pray’. I am not sure that is fair, as this is more a methodology for testing. We undertake rigorous experimentation across multiple channels and various phases of the sales funnel, using many tactics to identify what works (tactically) for our partner-clients to test hypothesis so as to better inform marketing and business strategies. For me, the marketing strategy IS the theory that we test. Making assumptions about customers, positioning, communications, pricing etc is a marketing strategy. However, these days the we can test these assumptions far more rapidly (and with real rigour) so that we can move the strategy on the fly. This is the clash of old and new marketing! You are right in that digital marketing has changed the game, and that the movement to more real-time data analytics is going to drive considerable change in the marketing space. Those can can take a step back, outline their strategy, then zoom in and test it for a period of time will succeed in the new marketing space. A marketing strategy should be a vision, and the process for testing it should be agile marketing. I have written an article outlining how agile marketing can work from the perspective of a startup trying to find scale. Please let me know any comments, I think the dialogue in this space has only just begun. Logan – I would see that for some companies an agile approach as you’ve outlined is definitely the right approach. To stay with the chess analogy – there is positional ‘long game’ strategy and there are the repeated patterns of opportunistic ‘short game’ strategies. The right balance of the two should depend entirely on the specifics of a business and a brand. As noted, every brand has in some way a unique situation to deal with. For some – say a B2B niche tech offer – a hyper agile, strategy-on-the-go approach may be perfect. But for others – say, for example, low-involvement FMCG vs high-trust financial services vs fast fashion vs prestige retailing – I would suggest that the ‘right’ balance should vary. I think this is a great article and I totally agree with a significant proportion of the article. However, I do believe that some of the models mentioned in your piece, do still have their place in marketing strategy. It is just that they are used incorrectly, the manner in which for example the Boston Matrix model is presented is misleading insofar as when it is deployed there is normally a disconnect between, where the strategic business units(SBUs) are placed and financial data, at a firm level and industry level. When utilised correctly the Boston Matrix, represents in my opinion a measure of the effectiveness of investment decisions made by senior management, in the form of how each SBU, Product or Service consumes and generates cash. That is what is the return on capital employed (ROCE) generated by each SBU, Product, Service, or Brand held within the portfolio of a company. It can also be used as a comparative tool to compare the relative market position of a SBU (market share in sales revenue terms) verses, their industry peers. 1)	The markets, geographies, and customers selected – the market cycle; which markets are high growth, mature or in decline, the firms capabilities, that is can the firm access and service the markets, and customers in the selected locations profitably? 2)	The objective for the relative position of the SBU, product, service or brand that the company should pursue within the markets selected? Should the position be number 1, 2, 3 etc. In terms of sales revenue and/or profitability. 3)	What should be the growth strategy of the firm? Organic growth? The development of a M&A strategy that exploits long, medium or short run trends, through either strengthening the firms core capabilities, in the markets within which it is incumbent or chooses to enter? Or acquisition of assets that compliments the firms core capabilities, or to enter into a joint venture, with a partner or form strategic alliances to gain access to new customers, in new geographies. 4)	Strategy is about making hard choices: The options open to a firm may be limited or numerous, what I have covered are essentially investment decisions and how they can be measured, which is what the Boston matrix and to a certain degree other models offer. The investment decisions should be aligned to the overall corporate objectives of a firm. The effectiveness of the execution, of these decisions measured in terms of the increase or decrease in ROCE, EBITDA, sales revenue growth, will influence the level of cash generation and cash usage of each SBU, Product, Service or Brand held within the portfolio of a firm. Focusing only of financial measures, however may lead to short-termism, thus other measures such as customer KPI’s, operational KPI’s and learning and development KPI’s should also be deployed. This is what I would consider to be some aspects of marketing strategy. Unfortunately in some organisations, marketers in some instances are not encouraged, to link marketing activities to financial outcomes at a strategic level. Kofo – I would fully agree that models and other strategy tools have a place in strategy development. But to your point, the issue is when they are used incorrectly. The experience which is often missing revolves around knowing and selecting which tools are most appropriate for a brand’s particular needs and understanding how to use them properly. Strategy is dying — or rather — is being overwhelmed by digital aficionados who seem themselves as marketers because they know the ins and outs of Facebook. The same folk probably see themselves as graphic designers because they know how to use Adobe software. And yes, there’s a big difference between marketing communications and marketing. Glenn – did like the article and the reference to various models. Compelled to comment, because this topic is key to our business survival & future growth (adaptation being the key). On the BCG model (as old, as it is) – Henderson and the others that defined it – did not intend each segment to be discrete and disjointed. Rather – it was intended to highlight the various cycles/phases that a company, business, technology/product family, etc. – would experience and go through (predictably). Each phase required a different understanding and response, however they were integrated (not discrete). Secondly – do adhere to foundation marketing principles – and apply new approaches/techniques to round-out our Market Programs Plan and keep pace. This also requires steady and consistent experimentation – to get the right mix – by Client program. Do understand your reference to connect-the-dots vs. Chess Strategy. See the Internet-based, platforms and tools – as powerful – however we must view them, as approaches/techniques – that are available and abundant – not, as Marketing solutions. When you consider the “rate of acceleration and change,” it is easy to understand how tough and complex the Marketing challenge is. Just for starters – try to keep pace with changing Industry, Market (target segment), Economic, Government Regulation, Global Competition, Applications mix, Customer Profile, Distribution Channel, etc. – changing demands. It has never been a piece of cake – although today’s Marketers have their hands full – and should not compromise, by denigrating Marketing to a product support role or raw Revenue generation. Those things are necessary – but not the payoff for effective Marketing. Ed – thanks for your views. As noted in a previous comment, I would fully agree with you that the issue is not with models per se but with how they’re applied. Great article. Thanks for taking the time to write such a considered piece. A real breath of fresh air when there is so much drivel regurgitated out there. Whilst I agree with much of what you say, if you are helping companies find their way forward, as I do here in Oxfordshire UK, a simplifying model is the only way to get going. You have to get humans engaged and so using a model is a tactic to use in the process of conceiving a strategy. Just as you cite a model (a game of chess) as a worthy parallel, of course I could pick holes in using chess as a metaphor for business. The point is that there are no quick wins out there and to work with clients who understand this is a rarity and a privilege. Keep up the good work. Nick – Thanks for your feedback. As said in the post, models definitely have a place in strategy development. My view though is to treat each of them as optional tools. As you said, there are no quick wins. The first step is always to as much as possible fully understand the brand and its landscape. Then on the basis of this decide which models/tools are most appropriate to help a business think through how it can move forward. There are several “tools” that can be used to assist with the marketing planning/strategic process. However, some of these lend themselves better to certain industries and situations than others. At the end of the day the questions are: 1) what are we doing well, 2) what can we do better, 3) who’s eating our lunch and why, 4) how do we move to the next level? Then 5) Assign tasks and report back for adjustments. This process needs to be living and breathing to work well. So many times people use the “tools” and never return to implement or deny their problems internally that are holding them back. The “tools” are to help you uncover your potentials and weaknesses, however if they get in the way don’t use them, invent your own or find a new way to define and achieve your goals. Good points Debbie. Doing the hard work to answer ‘simple’ questions like these is the crux of strategy development. Tools are just that, options that may or may not help get you to the right answer. As you’ve noted, not all of them are equally suited to every industry or situation. So choosing the right ones – or exploring which could help, and discarding those that don’t – becomes a fundamental step. Not to oversimplify but too many time tools are used to appease those trying to set the direction and the end game is they feel good about themselves…i.e. good about a strategy that does not resonate with the targeted customer or consumer. I have seen first hand an agency bow down to the CEO of a company, to his matrix and tools, etc., and leave the correct strategy on the floor in pieces. Too many time people try to put their personal stamp on a strategy. They want their fame in creating the next Nike. Need to hit a home run! Please, hit some singles and doubles over a long period of time and you will be a superstar. Aim small, miss small…know your target and listen to them. That may mean your brand needs to be flexible and stretch across multiple targeted groups so there may NOT be one solution. Also, sometimes simpler is better but sometimes not. I would not necessarily call a low growth, low share box a dog…not if the dog was strategic and supported the balance of the brand in a critical manner…or was extremely profitable. Rian – I think many an agency (and marketing managers) would have experienced strategy by ‘executive order’. Sometimes this can’t be helped. Sometimes CEOs or the equivalent in the decision process don’t realise to what degree they’re dictating the outcome, and aren’t aware how off the mark they may be. Often it can be avoided by having a rigorous and collaborative approach that welcomes, explores and challenges options. Seen another way, this situation is allowed by “a failure to communicate”. revenue, etc. (Many will also include profitability or margin). But they often fail to incorporate strategic judgement variables. Things like the role of a brand (or at the next level a sub-brand, product range or even a single product) in reinforcing heritage, protecting against competitors, building a brand association or signalling intent to consumers. I’ve typically found that these points get considered in brand architecture discussions. Dead-on. Charts and graphs and all the how-to’s you want don’t matter without real strategic thought as a basis for your marketing. Strategy is crucial if you want to win the person and the sale, and retain any loyalty. It requires thinking through all the factors involved to reach your audience and achieve your goal: listening, developing the right product or service, cultural relevance, appropriate pricing, communicating, delivering real benefit, ensuring long-term value, and providing effective support – to name a few. You can’t obtain excellent marketing results that lead to sales without good strategy, planning, and execution; and continuously monitoring results, making adjustments to your strategy to accommodate a dynamic marketplace and shifting perceptions. Well written and well thought through, thoroughly enjoyed reading this. In client engagements on their brands, many were able to articulate the “what” and the “how” of their brand/business but not the core essence, their reason for being – the “why” of their brand/business. Strategy is like guns. Sometimes a long-range rifle with a scope the right one, sometimes a shot gun is appropriate. The talented strategist like a professional caddy knows the right club for the shot. Nice article with some thought provoking insight. To my mind, patience is a heavily underrated virtue and a diminishing attribute amongst marketers themselves. To successfully implement a strategy takes time, clarity of thought and consistency of message. The trend, as the article says, is for short term tactical activities based around what can be statistically insignificant data sets, leading to yet more short term decisions. I’d suggest another factor is boredom. Marketers can get bored with an idea quickly and seek out the new and “exciting” without giving an approach time to permeate its audience. Most great brands have a consistency built up over the long term and carefully evolved to changing appetites and markets. That’s as true of Google as it is of Ford. Patience really is a virtue. Ian – fully agree that many marketers are challenged by a lack of patience. Part of this is that many of them feel the pressure of getting (or appearing to get) quick wins to progress their careers quickly. Even the average tenure of CMOs (who are the ones supposed to be thinking big picture and the longer term) has fallen significantly over the past few years. But a good deal of this is the pressure senior management puts on marketing to achieve short-term results. Pressure that is driven by boards, who are in turn responding to what they believe to be investor expectations. Unfortunately from what I’ve seen and heard the promise of this remains largely unrealised. If anything the expectation on businesses to deliver quarterly results – rather than focus on and invest in mid to long term business strength and brand health – has increased rather than declined. Well said Glenn. Marketing strategy is somewhat of a misnomer since marketers often forget that you cannot change primary demand and educating the market ahead of growing demand fails every time – but it makes us all look busy. Like all innovation, marketing strategy is about finding a way around the mountain and not over it. It’s a martial arts tactic that uses competitors’ weight against them and makes the most of small budgets, but mostly knowing when the market is arriving and knowing when it’s not really there. Ed – I’m not sure if I agree that marketing can’t change – or at least stimulate – demand. For instance, take the number of tech products that people didn’t know they needed until they were launched. But I do agree that you need to understand the market and what can and can’t be realistically achieved. On the same page, as you – however it takes the Steve Jobs class of mentality to create demand and change the way the world thinks and operates. Have spent four decades in high-tech – will never have all the answers – in fact – just learning the questions – although have seen many examples of high-tech companies attempting to find a problem to solve for the brilliant solutions that they have crafted. The hit rate, given that formula for success is low – and the high-tech Industry has different drivers today than then – and is less forgiving.